What's In Season and How Do I Use It? 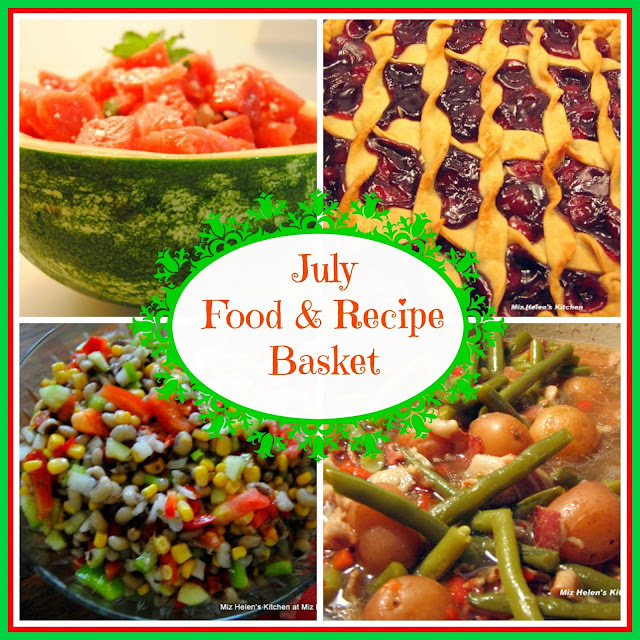 July is here with its parades, fireworks and great fresh foods. Many of the foods that we have had in our basket for the past two months are still producing and can be found at many of the farmers markets. Some of the foods this month are produced here in the south, however my granddaughter that lives in New York can often times find some of them. Some of the recipes that I will share with you this month have been passed down in our family for generations, I hope you enjoy them. Our gardens and Farmers Markets are busting open with a bountiful harvest right now, so many wonderful fruits and vegetables. I am sure there are many seasonal fruits and vegetables in your area that are some of your families favorites. I have shared some of our families favorites today and hope you enjoy the recipes. Thanks so much for stopping by to spend some time with us and we hope you will come back real soon! These are all wonderful ideas, but I'm stuck on that cherry cobbler. 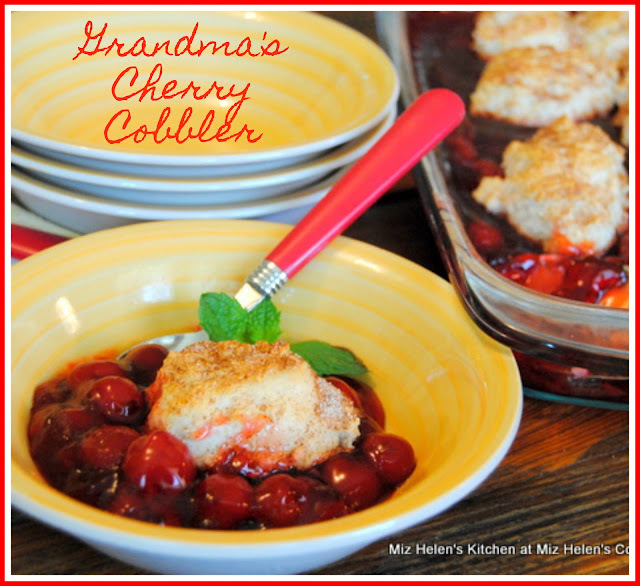 I'm never made one but I love cherries and this dessert is oozing them..
You're makin' e hungry!!! That cobbler looks divine! Thanks for sharing on the What's for Dinner link up! 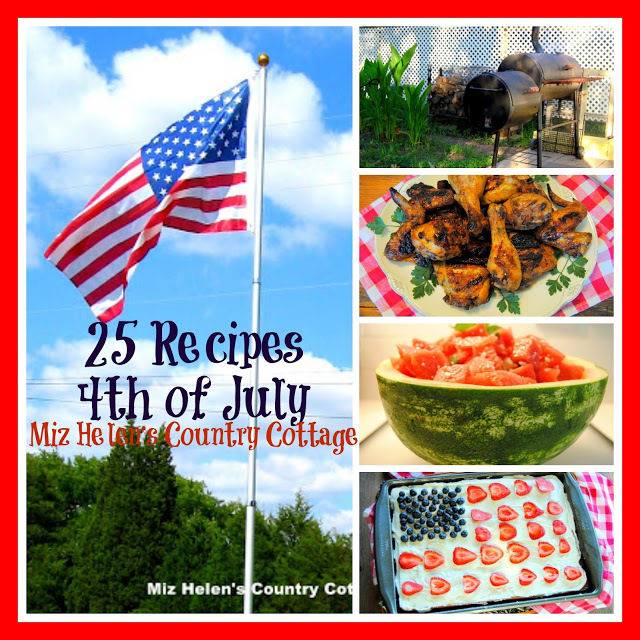 What lovely seasonal recipes, Miz Helen! It's so nice eating food in season, it always tastes nicer. Your watermelon recipes especially look delicious. And I love the cherry cobbler! Thank you so much for sharing with Hearth and Soul.